Baffled By Boiler Types? Help Is Here! 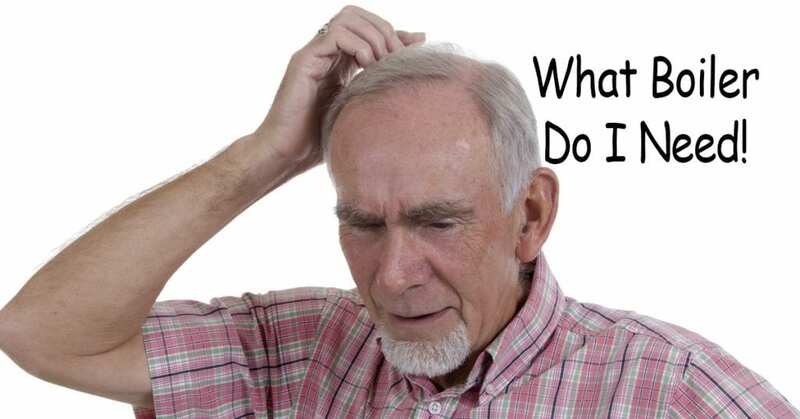 Confused By Central Heating Boilers? 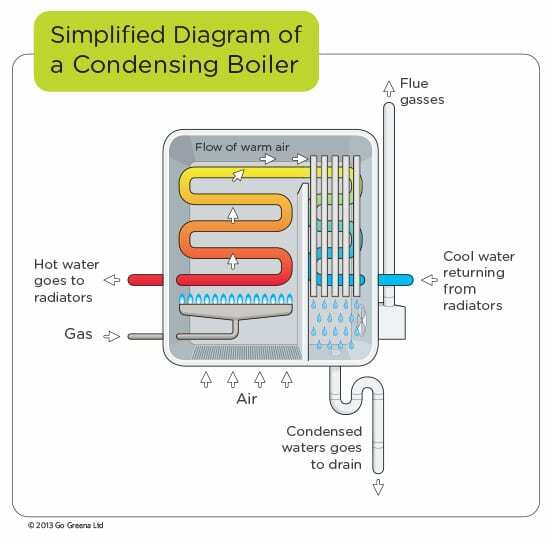 It can be quite hard to understand how central heating and boilers work. Not to mention the different types of systems!. In this blog we have tried to explain the differences in the types of central heating systems, plus the pros and cons of each type of system if any. 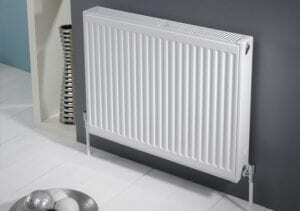 Central heating is a convenient heating solution. When installing or upgrading a boiler system it is best to do some research on what will work best for you. When the boiler is switched on it burns the gas and this turns it into water. 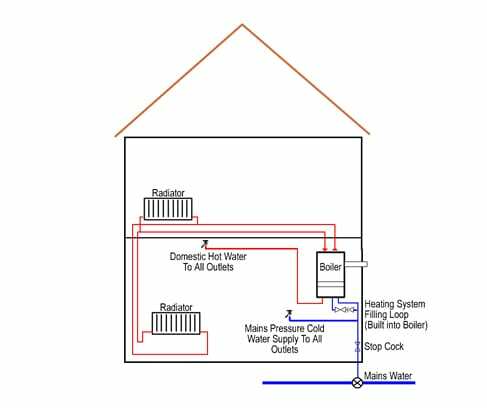 The water flows through the system (pipes & radiators) by means of a pump in the boiler. This heats the radiators and your room thermostat then monitors the temperature. Once this has reached your desired setting it switches off the boiler. As soon as the temperature drops below your thermostat setting the boiler will fire up and the whole process starts again. This is the most simple type of system. The programmer tells the system when to heat the water and it has a cylinder and a tank which houses the hot water until it is needed. The only downside to this is that you need room for a tank and a cylinder. As it heats the water at pre-programmed times it can be a wait for hot water. 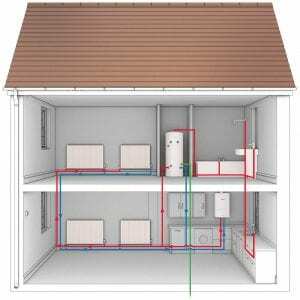 A conventional boiler system is best suited to larger properties with more than one bathroom. An Example Of A Conventional Central heating system. This does not have a water tank so will not provide as much hot water. So you will require a programmer to heat the water well before you need it. One benefit is that you can also have an electrical immersion type heater to the water cylinder. The immersion be used if the boiler breaks down. This is a great for high hot water demand in large households. 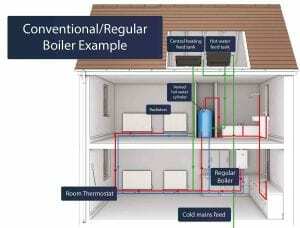 Example Of A System Boiler Installation. This type of boiler is more energy efficient as it collects some of the waste heat from the gasses. That is produced when the boiler is burning fuel, thus making more heat from the same amount of fuel. This is by far the most popular type of boiler. Often known as a combi. This type of boiler can provide heat and hot water on demand and you do not need a tank or cylinder so is a great space saving option. How A Combination Boiler Works. To find out what is the best heating system for you it always best to get professional advice. Remember to always use a Find A Gas Safe Engineer and get at least 3 quotes for the work!